Duplo's DC-516 Pro-Multi-Finisher is a high speed finisher designed for high production environments. Its 14" high capacity feeder and long conveyor stacker make it ideal for large jobs and keeps productivity flowing continuously. Its new dual creasing tool performs positive and negative patterns. 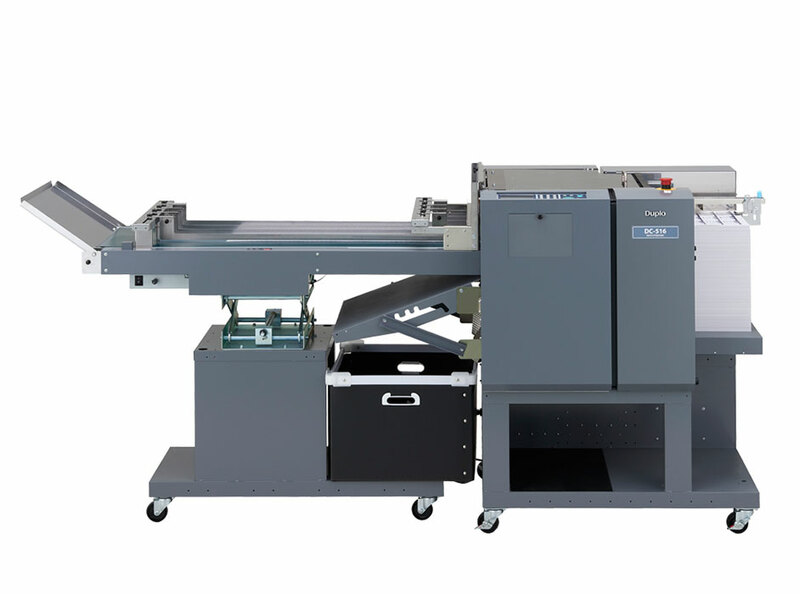 The DC-516 Pro comes standard with both cutting and slitting modules and can apply up to 30 cuts per sheet making it ideal for applications such as business cards, brochures, book covers and more.